McCarthy Metal Roofing’s team of qualified representatives will help your church, synagogue or worship center save money on your roofing project. 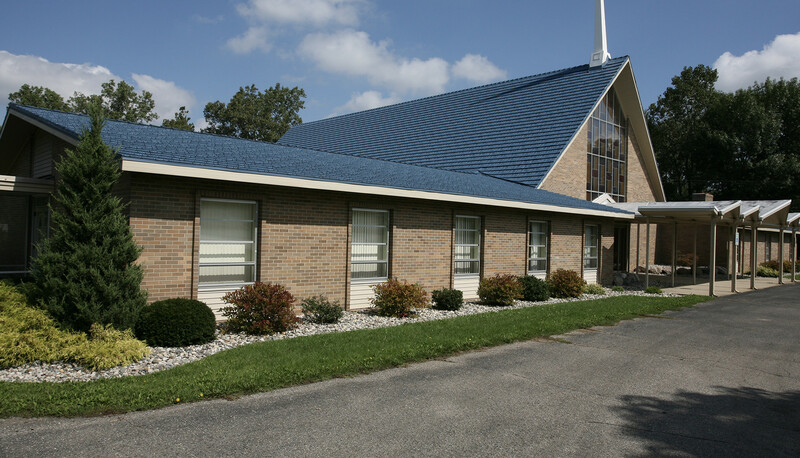 We can show you how installing a permanent energy-efficient metal roofing system may save you hundreds of thousands of dollars in roofing related expenses over the life of the Church. Every Church, Synagogue, or Worship Center is different. We will create a customized plan that will both fit your needs and your budget. We can deliver a turnkey roofing system, or if you wish to cut costs, we can provide you with the materials and guidance to install it on your own. Our promise is to provide your organization with the solution that best works for you. Your new metal roof will be as beautiful as it is durable, while reducing your utilities and eliminating costly maintenance and repairs. Your congregation and community will appreciate the aesthetic upgrade to your facility. We have simplified the roof buying process for Churches and Synagogues throughout North Carolina. Fact Finding Meeting: We will meet with a few members from your building committee or board of trustees to learn more about your needs. During the meeting, we will provide an overview of roofing options that would be best suited to meet your objectives. We will also examine your roof, take measurements and conduct an analysis of attic moisture and ventilation. Recommendations: After thoroughly inspecting your building and understanding your objectives and budgetary concerns, we will present a written proposal outlining our recommendations and installation schedule. Meeting with Board and Congregation: We will meet with the full board and members of the congregation as you determine. Our mission will be to help educate people about the current condition of the building, viable options available, and to cover our recommendations. We will also answer every question your congregation has. An Agreement: Once the agreement has been signed, we can develop an installation schedule, and assist you with your fund-raising and financing needs. Fund Raising Meeting: We can help create a presentation for your church members, outlining the improvements that will be made and the long-term benefits they will receive. This step is important when asking members to contribute to a building fund. Beautiful: Many styles and options. A: Turnkey Solution: We plan, coordinate, and install a new metal roof on your Church, Synagogue, or Worship Center. B: Do-It-Yourself: Our DIY Program has been designed to help many churches get new roofs for less than half the cost of an installed roof. We will provide consultation, hands on training, phone support, and guidance along the way. C: Golden Hammer Program: You can utilize our DIY program while hiring a skilled craftsman to complete the areas that you find more challenging. You will to the work on the areas that you feel comfortable with, and we handle the rest.